Oakley Electrical Contractors Limited are an NICEIC Approved, Part P registered, Fully Qualified and Insured company that service all aspects of the electrical industry. We are a family run business with a growing workforce, big enough to cope with large projects but small enough to give the extra customer service many people in the domestic market miss from tradesmen these days. We can cater for all your needs from a single socket or light fitting replacement to full rewires and completely bespoke installs including audio visual and home automation CCTV and Alarm systems. Our vast experience within the industry means we can tailor a solution for any problem. Great job, well done. Kitchen lights replaced which were originally installed by Matt in 2009. New flood lights fitted over decking, which are better than we imagined! Thank you. Oakley Electrical were great! Matt quickly quoted for several little jobs we needed doing around our house. They were able to fit the job in quickly and at a time/date that worked for us. Matt and his team turned up on time and powered through all of the jobs at lightening speed. They put everything back as it was and left no mess behind. I wouldn't hesitate to use them again. We cannot recommend Oakley Electrical enough. They have done various jobs for us, including electrical testing (on a previous property), installing extra sockets and lighting into a garage and installing two televisions on walls with concealed cabling. Each job has been carried out to a really high standard and we wouldn’t go to anyone else. We are also impressed with how they handle their admin. Invoices are online and this makes things really simple. We contacted Matt at Oakley Electrical to install outdoor armoured cabling and a rotary isolator ready for our hot tub installation. Matt came out within a day to quote which came out favourably compared to other quotes that we received. The job was completed to the highest standard and I would most definitely recommend this company to others. Had to contact an electrician urgently, found this company on Which Trusted Traders. When I rang was really pleased, they offered to come the same day. arrived on time, did the job without any fuss and at a reasonable price. Will certainly use them again and would recommend to anyone. Fantastic, friendly, fast and financially viable service from Oakley Electrical Contractors Limited was provided when my domestic electricity control board kept tripping. Matt quickly located and identified the fault, repaired it, checked the system worked and then cleaned up after the job was finished. 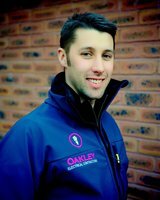 I recommend Oakley Electrical Contractors Limited to anyone who needs an electrician who knows what he's talking about plus is enthusiastic about his job as well. We’ve used Matt for a few years now. He is the most knowledgeable electrician I’ve ever come across and is very professional. He also charges very reasonably. I’ve tended to use him for small jobs, but if I ever have a big job I won’t even bother asking anyone else. We had a new Kitchen last year. Oakley Electrical came up with good ideas and advice for the lighting and power, then attended site to fit in the works during the build. Can't recommend them highly enough and have a lovely kitchen to prove it. Thanks Matt!